The homescreen now features real-time content in so-called “live tiles” which replace the Start screen of past Windows Phone devices. 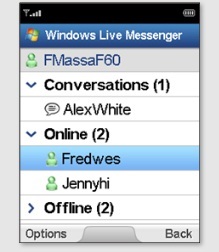 Nor are these tiles anything like the static icons found on many smartphones today. 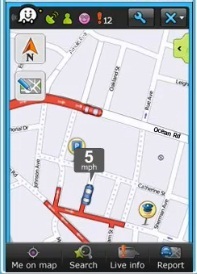 Instead, these brightly colored squares serve as customizable shortcuts to applications and the data they contain. For example, you can create a live tile for a friend and see their latest pictures and posts just from glancing at your homescreen. The long-rumored Zune phone appears to have arrived. Much of the UI is Zune HD inspired with its bold oversized text and the way you flip from screen to screen. More importantly, though, the phone offers the standard Zune HD features including the built-in radio tuner, Zune Social experience, and Zune Marketplace. You can also copy over music and video content from your PC, of course, using the Zune software. Yes, Xbox comes to your phone. Your phone is tied to your Xbox LIVE profile so you can see a gamer’s avatar, Achievements and gamer profile. Oh and you can play games. Xbox LIVE games. Seriously! One of the six focus areas for the new phone, the People “hub” lets you see all your friends’ status updates in one stream while also letting you update your own Facebook and Windows Live status. And you can pull your favorite people from the hub and make them their own tile on your homescreen. You can share you photos from your Pictures hub with your social networks while also syncing them with your PC and web. Here, you can also browse through the photos of your friends, too. Microsoft Office, of course. But not just Word, Excel, and PowerPoint, and Outlook – OneNote and connections to SharePoint Workspace too. 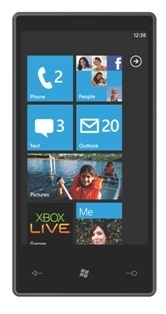 Unlike with past Windows Phones, there is less leeway when it comes to the specifications required to run the OS. This time, Microsoft is a bit stricter, requiring a specific CPU and speed, screen aspect ratio and resolution, memory, a capacitive, multitouch screen with at least four points of touch, accelerometer, 5-megapixel camera and even button configuration. 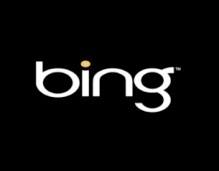 Speaking of buttons, all Windows Phone 7 Series devices will have a dedicated Bing button that provides one-click access to the search engine from anywhere on the phone. The OEMs making the new phones at launch are: Qualcomm, LG, Samsung, Garmin Asus, HTC, HP, Dell, Sony Ericsson, and Toshiba.